Birthdays are such a special time in a child’s life, they create so many wonderful memories. But when times are tough, it can be stressful to keep your spending in line. 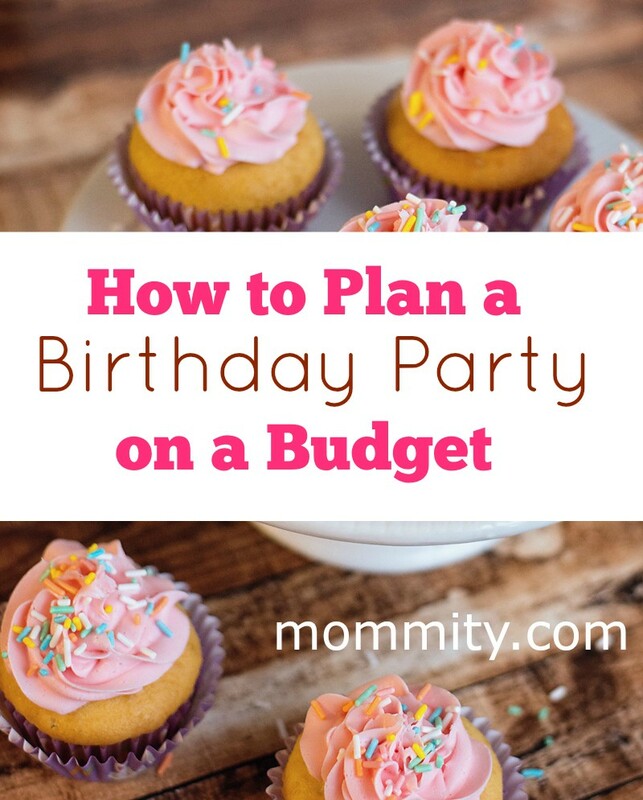 If you are birthday party planning on a budget, look no further! With a little bit of creativity and these tried and true tips, birthday party planning on a budget can be a fun and easy experience. Party Time. Be conscious about what time of day you are throwing the birthday party. If you can host a birthday party around 10am or after lunch, around 2pm or 3pm, your guests won’t expect to be served a meal. Instead, you can serve simple snacks and save money on your party menu. Visit Discount Stores. Don’t forget about the Dollar Store! Or even the Dollar Tree. Many of your items such as plates, plastic ware, wrapping paper, party favors and even foil balloons can be found for just a dollar. We love decorating with balloons and these places will even fill them up with helium for you. Skip the Characters. Party decorations with your child’s favorite characters can cost a lot. Skip the characters and go with a color scheme instead. If your child HAS to have characters, make their cake with the characters and decorate with a matching color scheme. Get Crafty. Pinterest is the world around us and it’s full of great ideas for birthday parties. You can find free printables for party favors, decorations, party invitations, photo props and more. I love the ones on this Birthday Party Planning on a Budget board! Make Your Own Cake. The last time I purchased a birthday cake it was well over $30. Grab a box of cake mix, this delicious buttercream frosting recipe and make cupcakes! One box feeds 24 people and everyone loves cupcakes. If you are making cupcakes for a child with peanut allergies, be sure to check out these coloring gels that are peanut free. Party Invitations. Make your own invitations! With free software, like PicMonkey, you can make party invitations cheap. Want to go even cheaper? Create an evite online, through Facebook or through evite.com, and send a digital birthday invitation. Group Parties. Does your child have a sibling or a friend with a close birthday? Buddy up and throw a group birthday party! By celebrating birthdays together, you can save at least half the cost of throwing them separately. Keep it Small. The more people you invite, the more people you will have to feed and host. Keep the list small and invite your child’s closest friends. With classroom rules of inviting all kids, you might have to send out invitations in the mail or through evite. For more birthday party ideas, follow our Kid’s Birthday Party board on Pinterest! Follow Amanda – Mommity’s board Kid’s Birthday Parties on Pinterest. Children’s Angry Bird Bedroom Before & After Revealed!